Welcome to ModelWebWorks.com. For 5 years we've established ourselves as one of the leading web design companies for models, photographers, actresses/actors & more.We're dedicated to bringing your creative visions to life and getting you quality exposure on the internet. 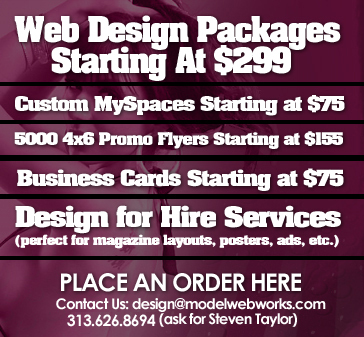 ModelWebWorks.com is a virtual one stop shop for all web projects as we provide bright colorful graphics, print and marketing services & much much more. 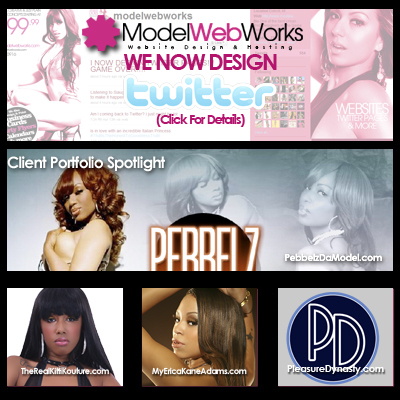 ModelWebWorks.com offers services such as Full Service Web Design, Hosting, Printing, Marketing, My Space Designs, Flash Animation as well as specializing in working with paysites, photographer, fashion ahd modeling portfolio sites. 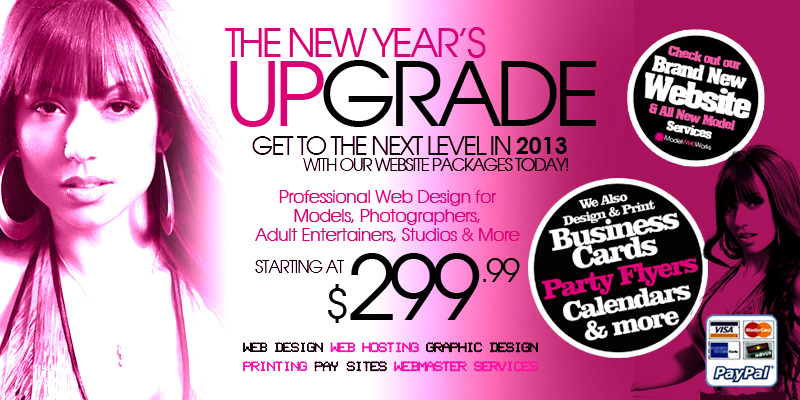 Navigate through our site to check out our rates, current specials, our portfolio pieces and the latest going on with us. For more information send us an email at design@modelwebworks.com and someone will be in contact within 24 hours. We hope to work with you and eventually make history on the internet.